I was running an iPad workshop last week and it occurred to me that the Dice “randomiser” function in the Smart Drums could make a good listening exercise tool for students. And why not turn it into a game? The Smart Drums instrument in GarageBand allows you to drag different drum sounds on to a grid to create a rhythmic pattern. However, if you’re feeling lazy or stuck for inspiration, you can use the Dice button in the bottom left corner to have GarageBand randomly pick a rhythmic pattern for you. Tap the Dice again and the pattern will change instantly. 6. Rhythm Switcher – teach the students two simple rhythms that they can play using body percussion. Use two different types of body percussion such as clapping and tapping the chest and practice playing them as a group in time to the Smart Drums groove. Each time the Smart Drums rhythm changes, they need to switch the rhythm they’re playing. Do you have any other game suggestions? Download a copy of this list of games? Hi, Katie. 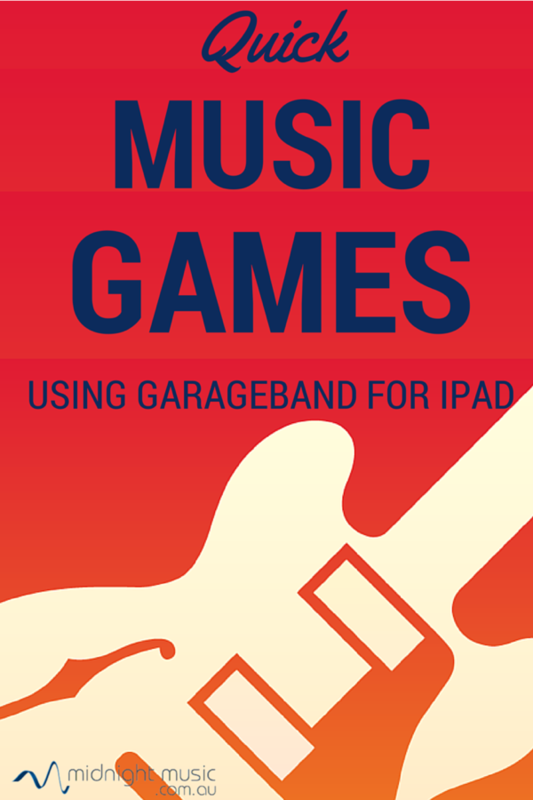 Thanks for another inspiring idea for Garage Band app. The element of chance–like dice –make things so fun. Great idea! When are you going to come to Texas and teach us first hand all of your amazing technology tips and ideas! Can’t wait to try this out with my students! Thanks Debra! I’d love to come to Texas 🙂 I’m hoping to get to your big music conference one year (maybe 2016??). there needs to be a session or two at TMEA about tech in the special ed/autism classroom. i am teaching music for all the self-contained elementary autism classes in my district (jr/sr high planned later) and my kiddos love music and their iPads. i am always looking for ways to combine the two. i’ve already asked permission to attend the 2015 conference and hope to find some inspiration. until then, pinterest and blogs. Hi Shawn – Pinterest and blogs make a good interim substitute! I often have queries about special needs and iPads. It’s an area I’d like to get more involved in at some point. And I’d love to make it to TMEA sometime too! What is comparable to garageband app for Android?